Customize this super cute and trendy watercolor canvas tote bag! Add your future last name to show off that you are the bride to be. 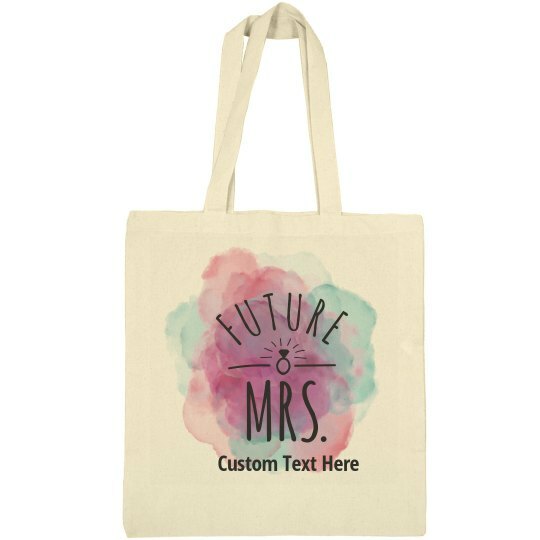 Don't forget to add a line of your own personalized text to this bag!